In top-level sports fractions of a second decide between victory and defeat. Because of this pressure to perform it is crucial to analyze streams and their impacts on the athlete with CFD simulations. Both top athletes and equipment suppliers have been able to benefit from our expertise in aerodynamics to enhance their performance and improve their products significantly. 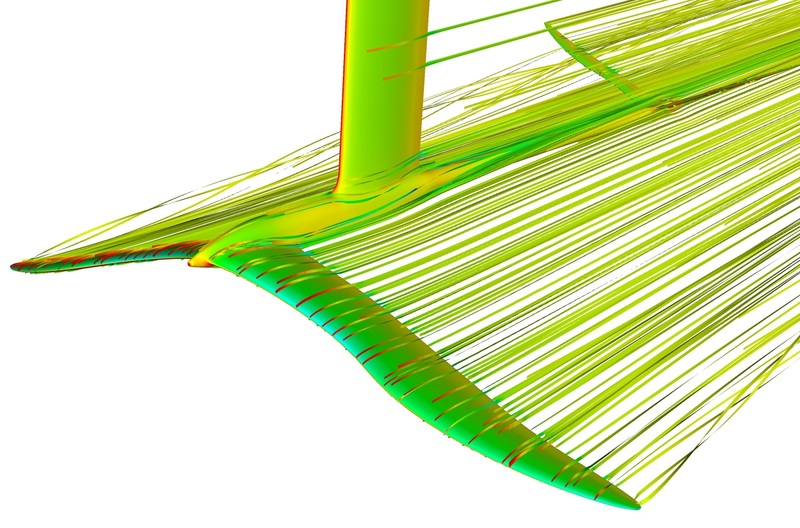 Through numerical CFD simulations air and water streams can be optimized and the occurrent drag can be reduced. In this context we have carried out projects in sports such as cycling, bobsledding, air racing and other motorsports. 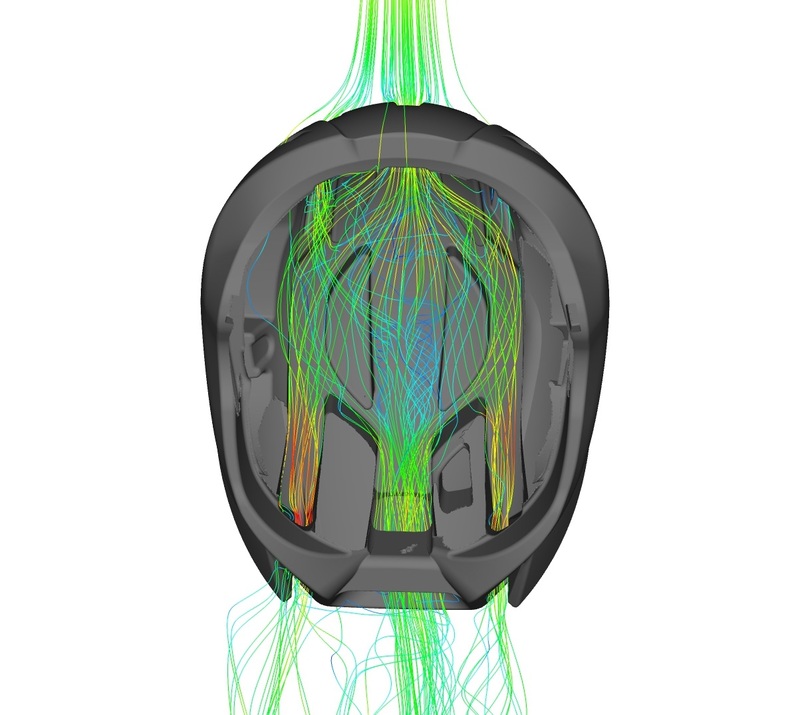 In cycling we planned and developed together with UVEX an aerohelmet whose geometry and design was based on CFD calculations. With another partner a bicycle wheel rim was aerodynamically optimized regarding lateral stability, power demand and rim optimization. Also a simulation of a whole bicycle was done to optimize the single components. In bobsledding a CFD simulation of the sled and the driver was made and after further optimizations positive results were recognized. bionic surface technologies took part in the Olympic winter games 2014 in Sochi. High performance aerodynamic mentoring supported the athletes in achieving their top performance during the competitions. In air racing we work closely together with Hannes Arch (Red Bull Air Race) and Vito Wyprächtiger (Reno Air Race) to improve the aerodynamic performance. The aircraft, Zivko Edge V3 and Cassutt MIII, were analyzed and optimized with calculations. 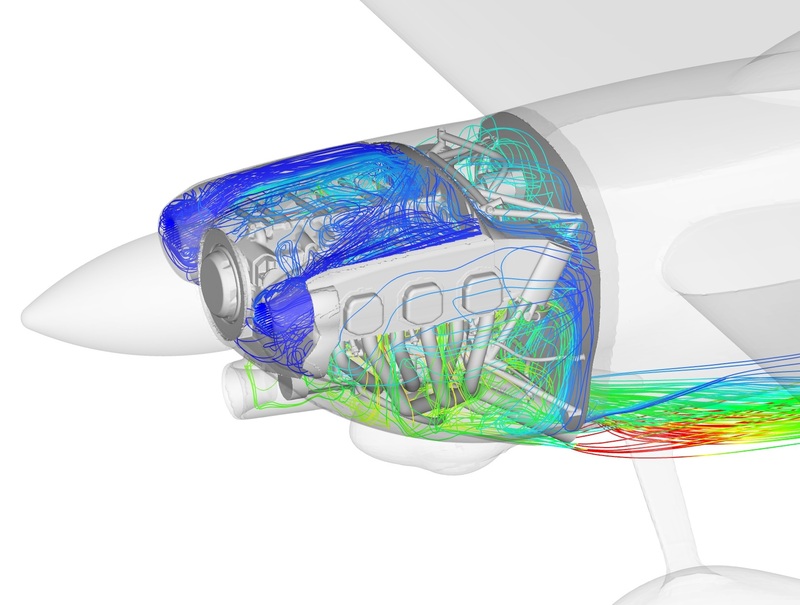 Both pilots successfully use our riblets and the combination of CFD simulations and riblets seems to be a recipe for success! In the different areas of sports there are a lot more fields of applications for CFD simulations. 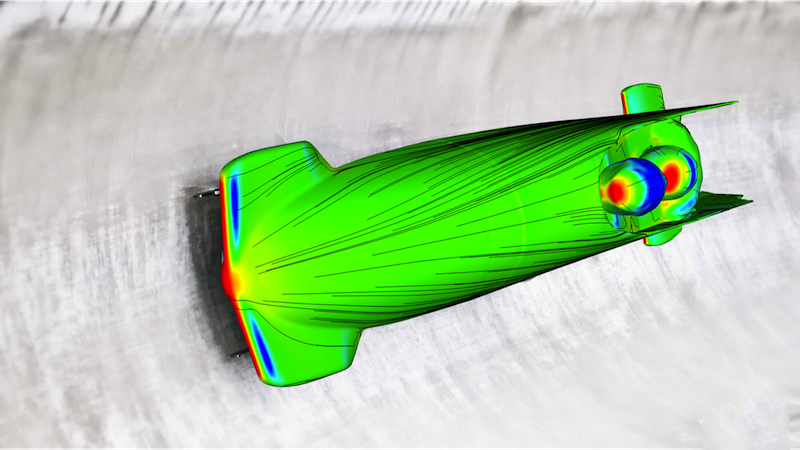 bionic surface technologies helps with general aerodynamic analyses and supports you through assisted wind tunnel tests. We are also skilled to do complex 3D scans for virtual model development and provide you visualization of the results. We would like to provide you with CFD consultancy to show you the possibilities of a CFD analysis and which benefits and performance improvements you can gain with specific regard to your kind of sports.